"I want to compare what's happening in real time to what's happening more recently. AirStrip magically pulls all this information together." "What is so great is I can take action on what I see. Here I can send a HIPAA compliant secure message to a member of the patient's care team." Question is: would a doctor rely on this? Or maybe this is a backup plan, a way to stay additionally connected. 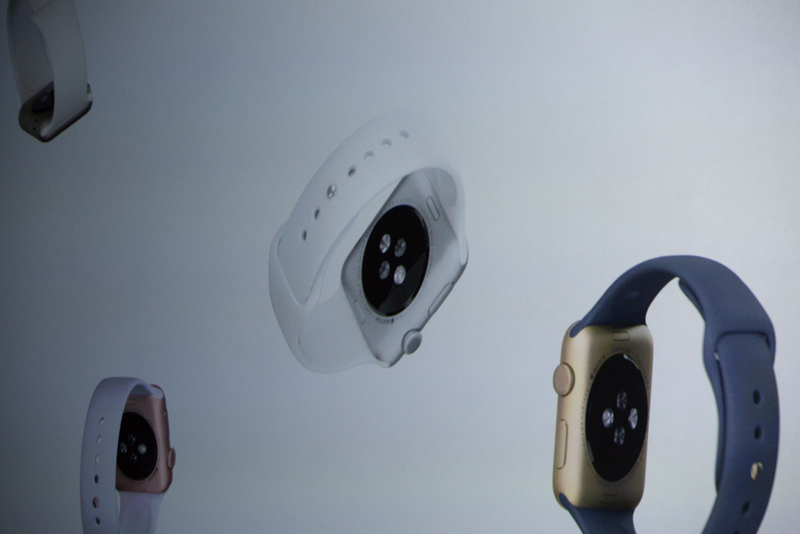 "Let's talk about AirStrip with Apple Watch will change how doctors communicate with patients. 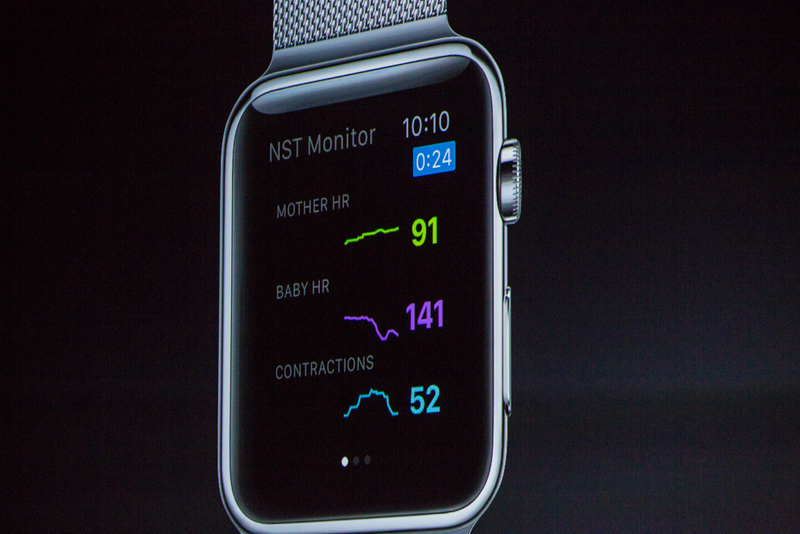 Already used to monitor over 3.5M pregnant women. 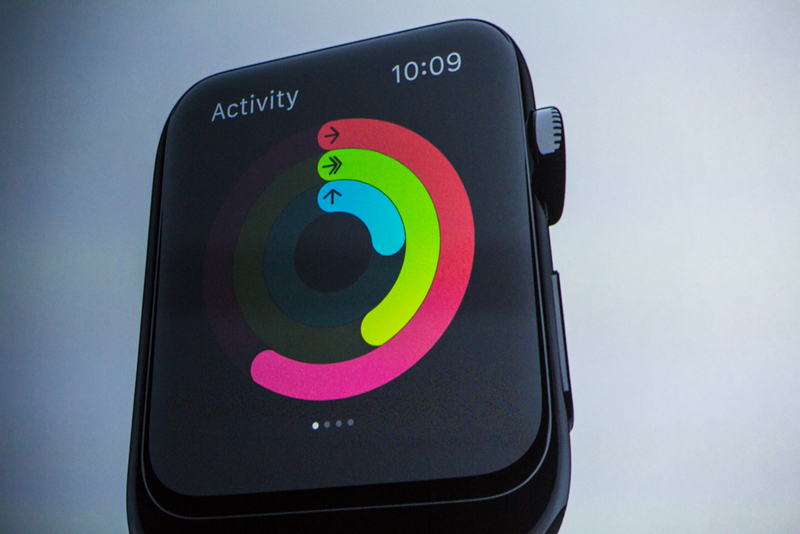 But new app can monitor them at home, leveraging the Apple Watch." Huh. 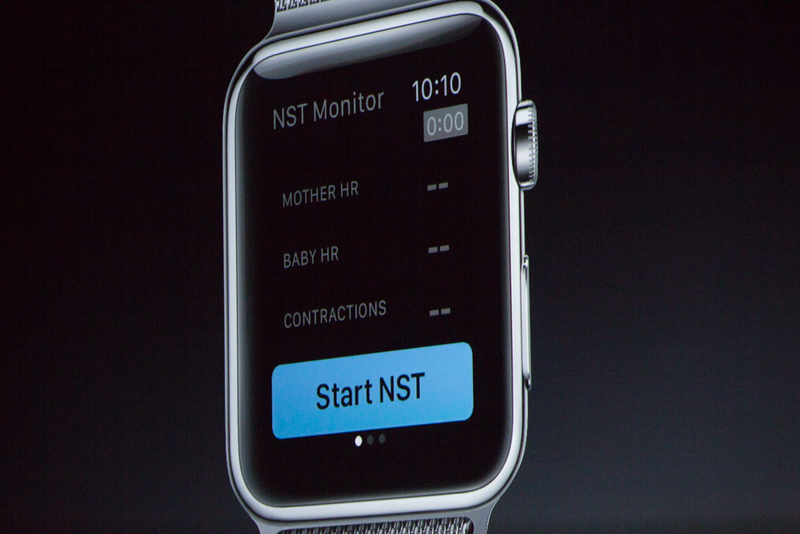 Home request for home monitoring test, directly on Apple Watch. Connected worn sensors can begin test, sense heart rate. Remote medical monitoring. "I can see the baby's heart rate and the mother's contractions as they're being ready by Sense4Baby. Finally I can differentiate between the mother's heart rate and the baby's heart rate, which has been a problem for years with home monitoring." 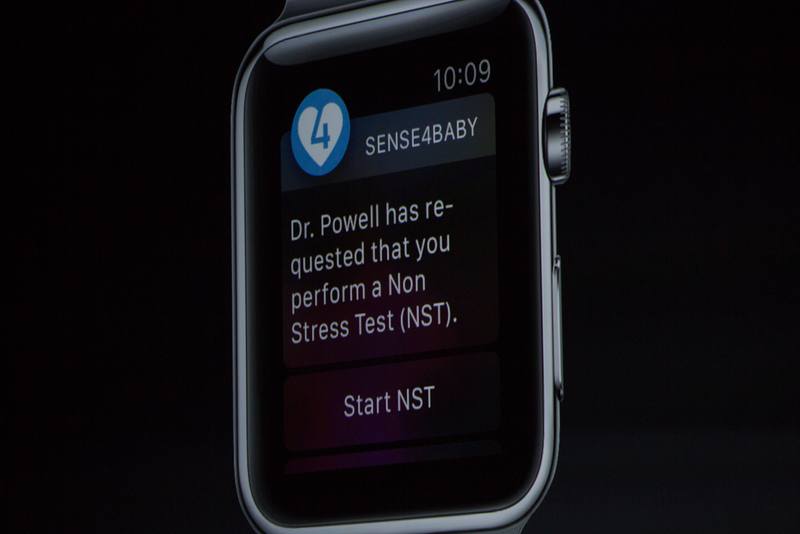 "When the test is done, she can simply send all that data from her watch back to her doctor." 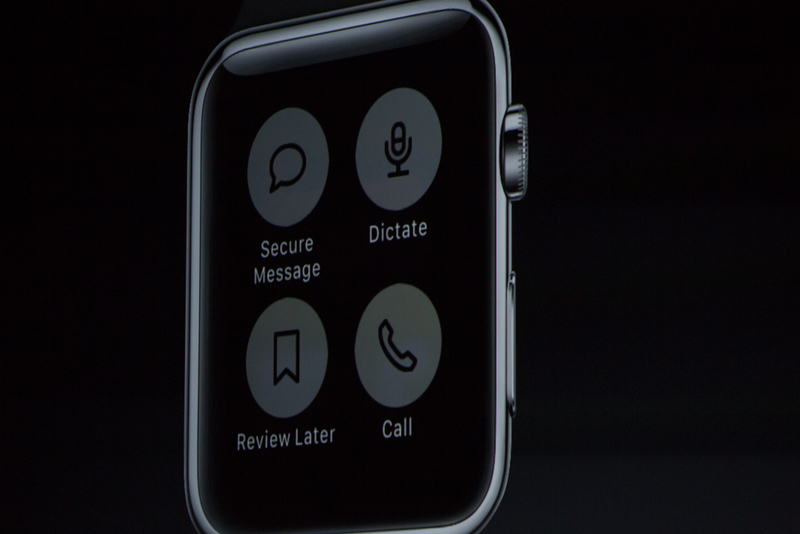 "AirStrip plus Apple Watch together will redefine how messaging and communication happen in healthcare." 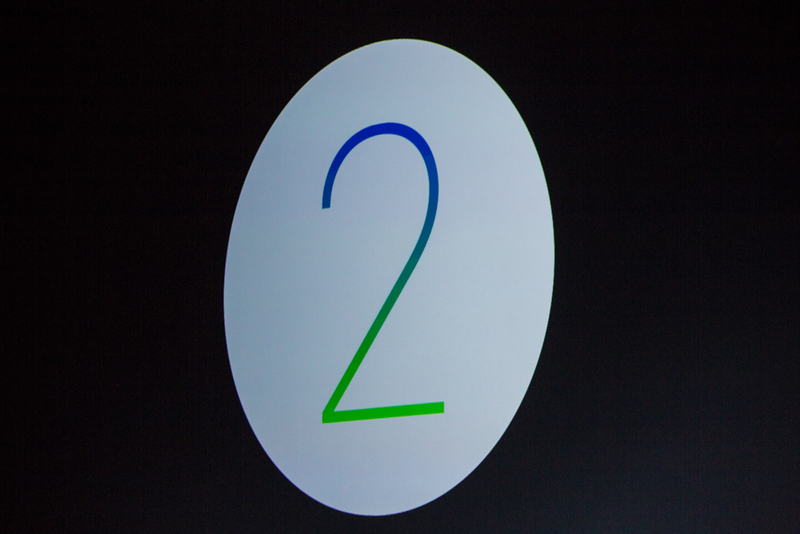 "We can't wait to see what else developers do with it." I made the same mistake, Shara! "I want to switch gears and talk a bit about our collection.... today we're offering even more choice." 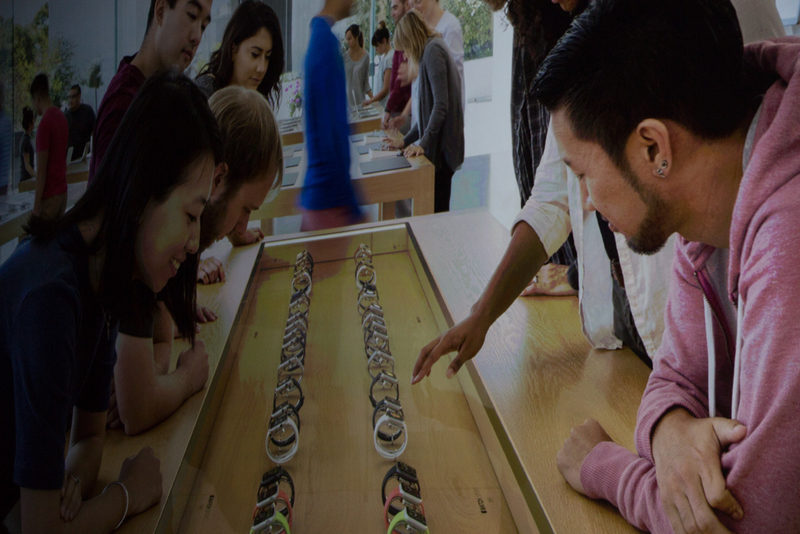 New designs for Apple Watch. For the bands, at least. "We've been working with a company we greatly admire on some new watches. Company that shares our commitmeent to excellence and craftsmanship. Hermes." 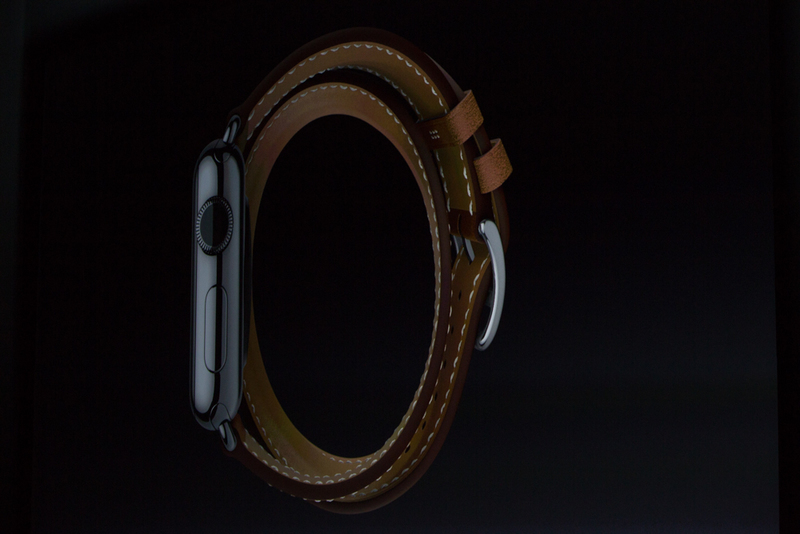 Hermes watch band being shown off. 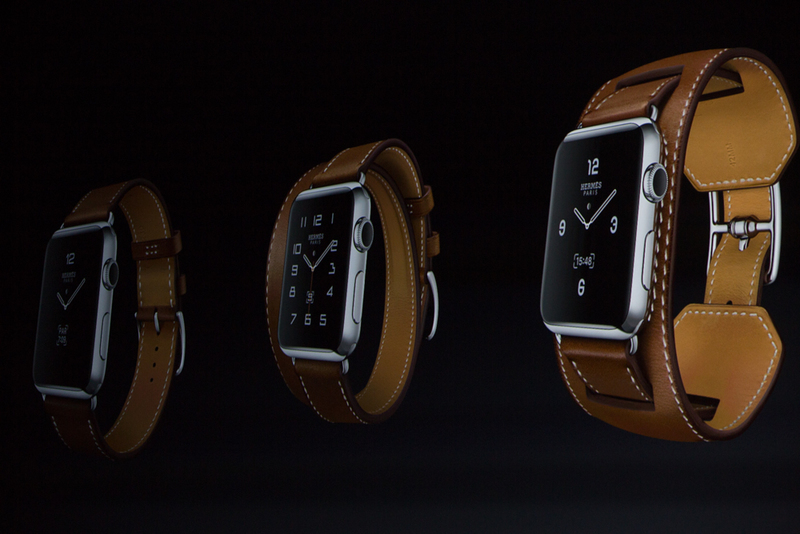 Coiling leather loop. How much will THAT cost? "Available in select stores in October. 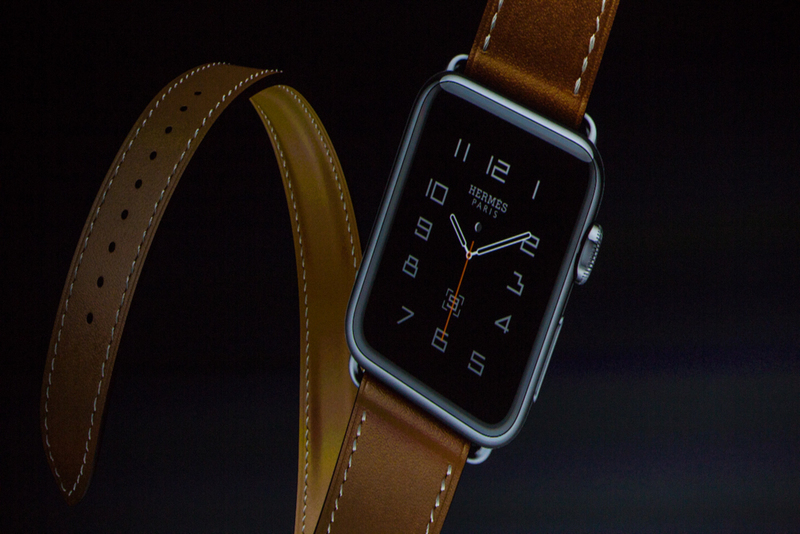 We think people are goign to love Apple Watch Hermes." "That's not the only update to our lineup. We've been working on new models and new bands, and I'd like to show them to you now."